Description: Carefuly crafted puzzles in a challenging 3D platformer experience take the player on a surrealistc journey through a maze of feelings. 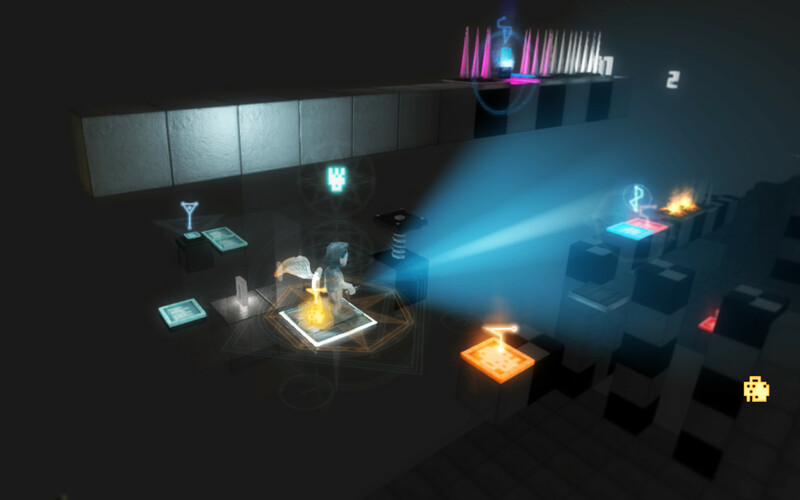 In Face It, abstract concepts are shaped into gameplay. Darker emotions like fear and depression are monsters and traps, while brighter concepts like HOPE, VISION and LOVE are the powers you need to beat the levels. The levels represents dark aspects of human consciousness, like Fear or Attachment. By beating a level, you shall find brighter states of mind, like Love or Truth. As you might pass through the levels, you may unlock the magical sigils and symbols that represent those new brighter states of mind.